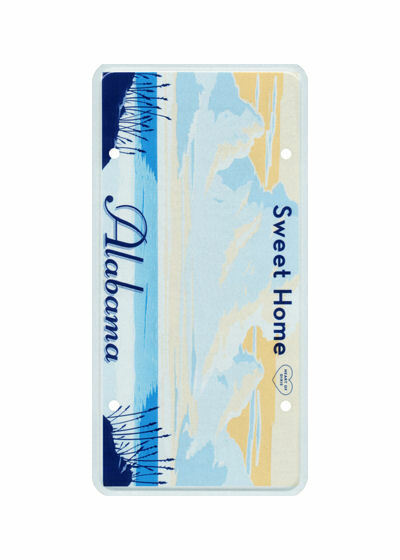 Easily print a custom license plate with your child's name on it. They will love decorating it and making it their own! Try them with a kid-sized clipboard from The Trip Clip for great tech free travel. 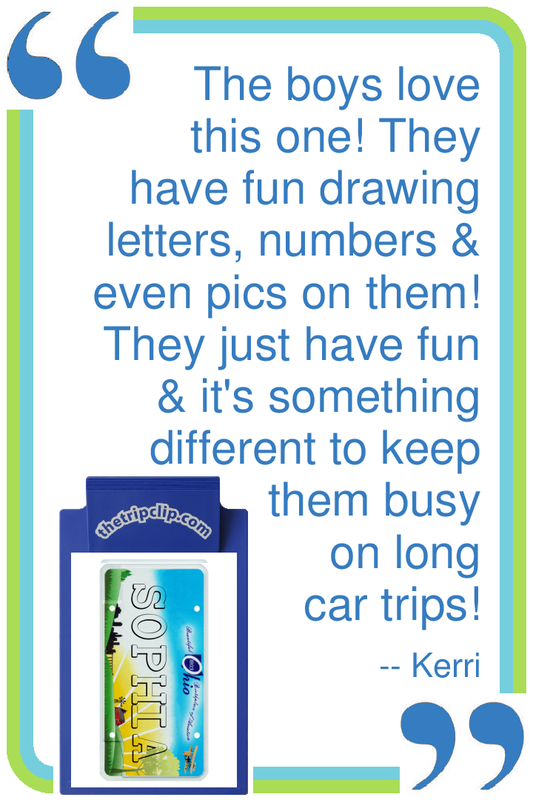 Practice handwriting, letter recognition, and name spelling! You can add up to 8 letters and numbers to your license plate! 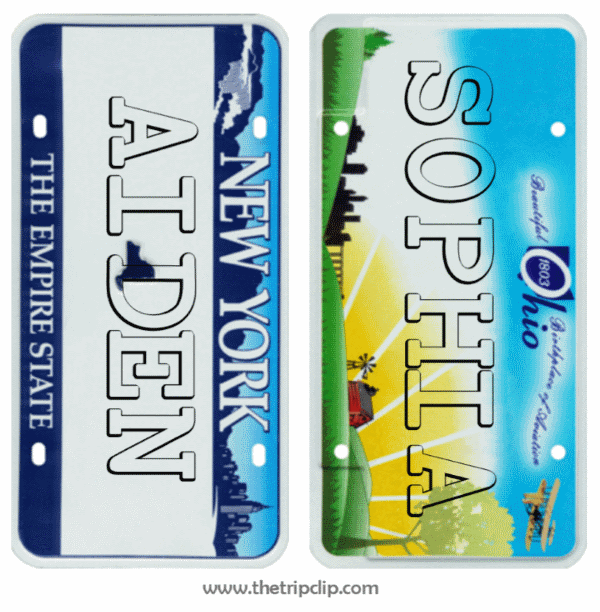 If you want to create a custom license plate you'll need to log in with a valid Trip Clip® Account.